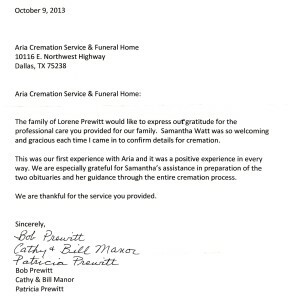 The family of Lorene Prewitt would like to express our gratitude for the professional care you provided for our family. Samantha Watt was so welcoming and gracious each time I came in to confirm details for cremation. This was our first experience with Aria and it was a positive experience in every way. 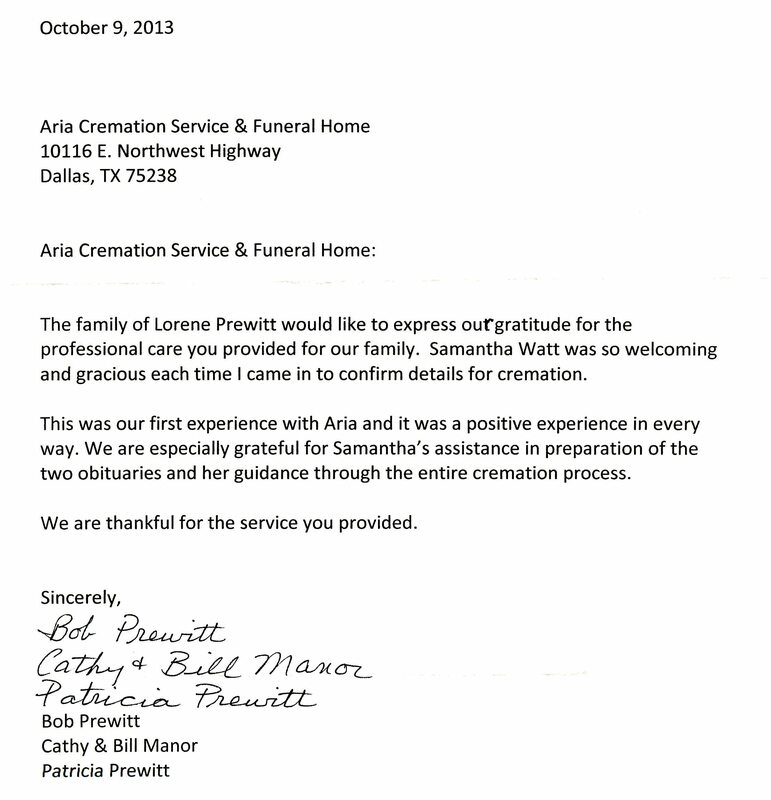 We are especially grateful for Samantha’s assistance in preparation of the two obituaries and her guidance through the entire cremation process. We are thankful for the service you provide.